Filters are Ready for Delivery! In previous blog posts, we have given updates about filters being delivered to Compassion International sponsored families. Sawyer is currently working on a Compassion International order in El Salvador. 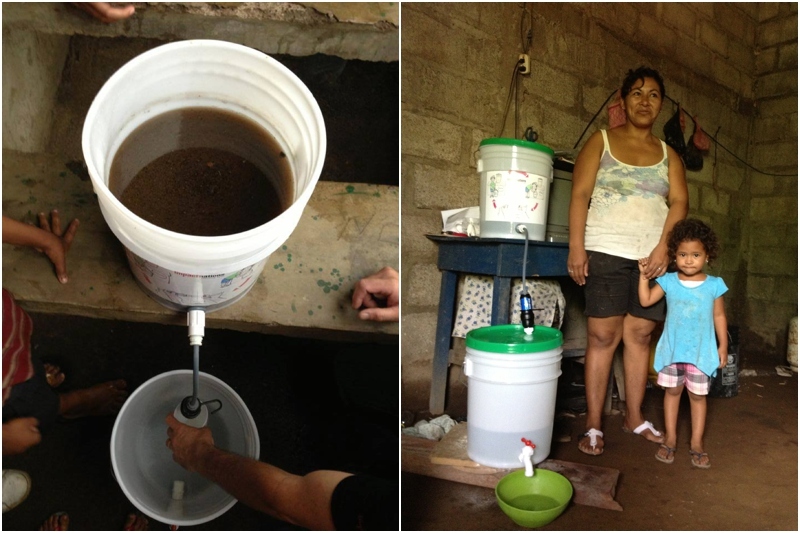 This is our first order in that country and we are so excited to be working with new distributors who are facilitating the order as well as to be able to provide life-giving Sawyer filters to 1,000 new families in El Salvador! A couple weeks ago the filters arrived. Here is a photo of the filters in storage. 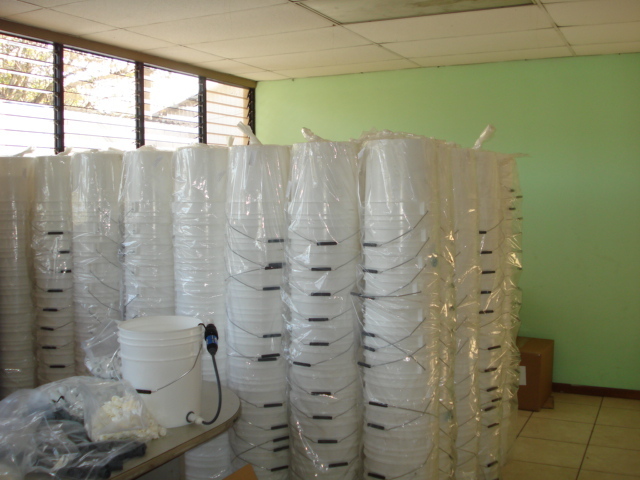 Buckets are purchased and ready to be assembled with the filters. 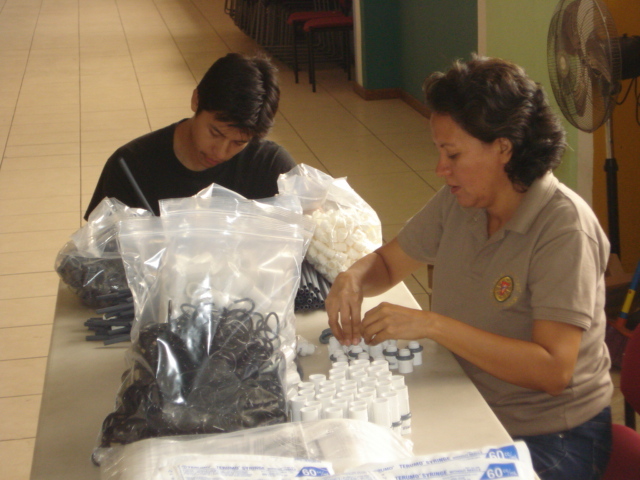 El Salvador team working on assembling the filters. More updates will be coming as our team is in the process of delivering these filters to Compassion families! Here are some of our favorite photos from the week, enjoy! Testing the Sawyer Squeeze Filter in Nepal. 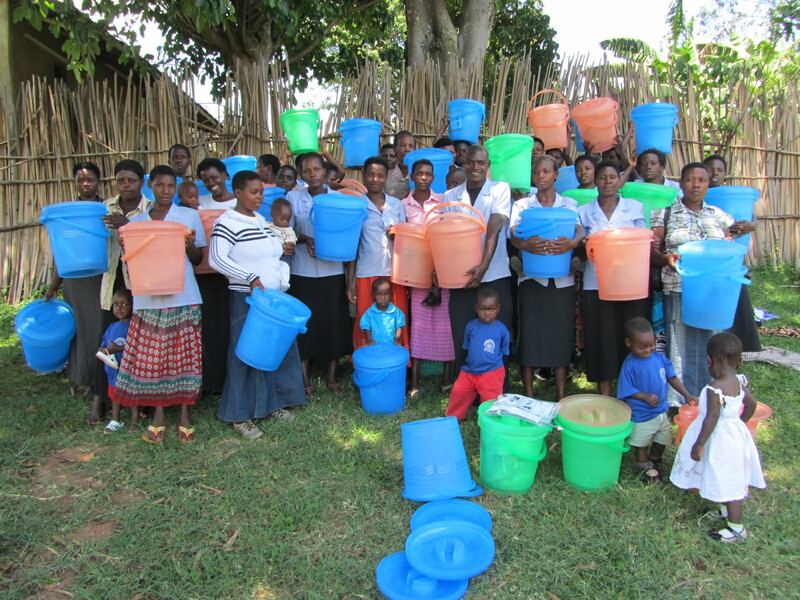 Filter deliveries to over 2,500 Compassion International sponsored families in Uganda are now completed! 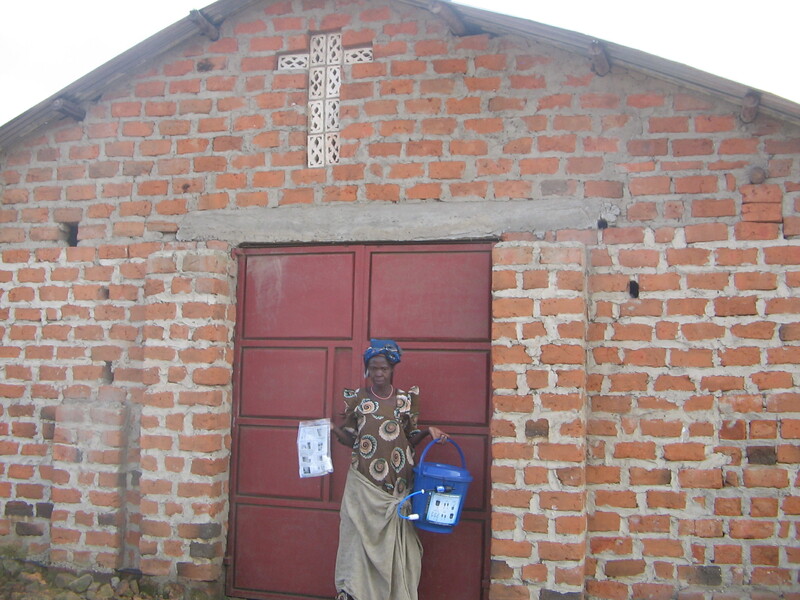 This church in Uganda now has access to clean water thanks to Generation with a Mission. 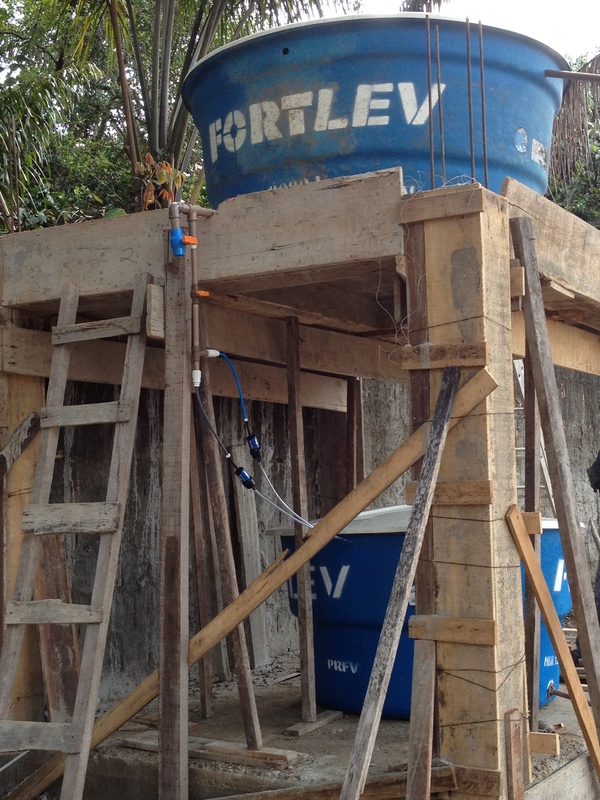 E3Empower created a village water center in Brazil using this Sawyer filter installation. In a previous post we demonstrated how to assemble and maintain the SP180 PointOne Filter with Bucket Adapter Kit. Sawyer now offers a new model of this unit called the SP180T. This model now incorporates the Squeeze Filter with the Bucket Adapter Kit. Now the filter not only can attach to the bucket for a gravity system, it can be attached to a Sawyer Squeeze Pouch or a plastic bottle! Check out this video which demonstrates the filter technology as well as how to assemble and maintain the filter. Have any questions about the SP180T? Please leave your questions in the comment box below. 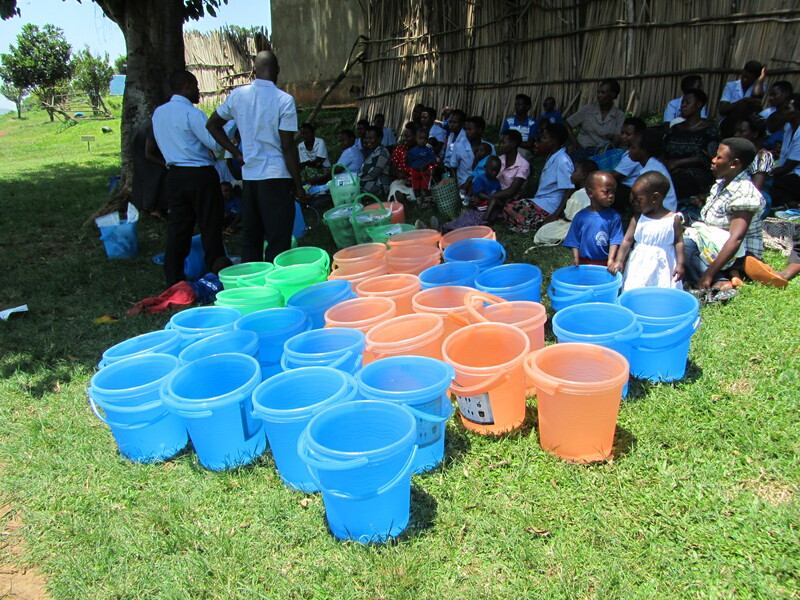 This week filters continue to be delivered to Compassion International sponsored families in Uganda. Beginning the assembly process of attaching filters to buckets. 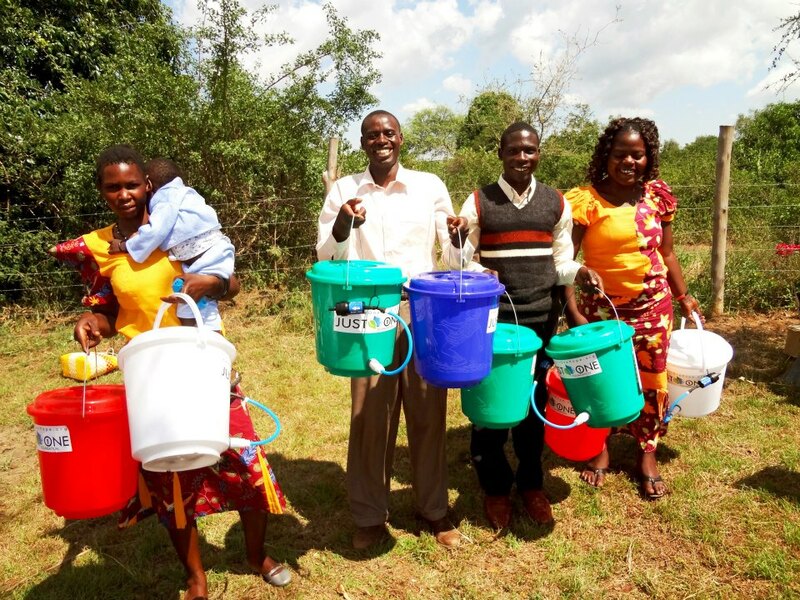 We love these photos because they truly show the joy of the families as they will now have daily access to clean water. Can you tell why these are our favorite photos of the week? Check out the first TV commercial of Sawyer in Spanish! This short clip was put together by Sawyer’s international distributor in Colombia, Octavio Mejia. Octavio Mejia started SAWYER Colombia in 2012 and has done a tremendous job of bringing the Sawyer brand to South America. 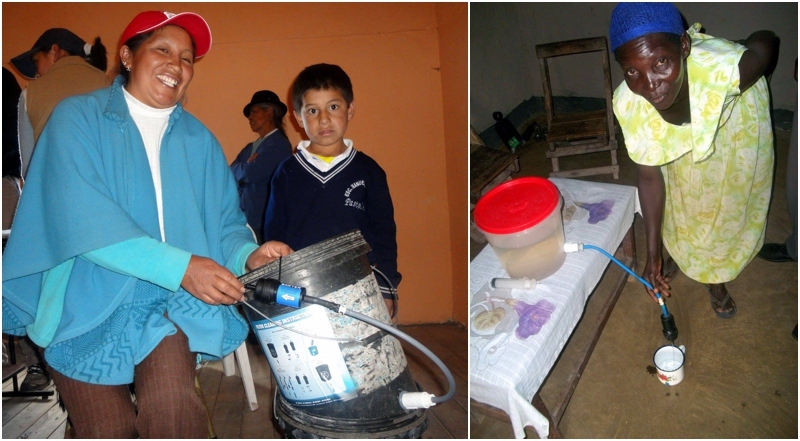 Here is a photo of Octavio demonstrating Sawyer’s PointOne water filters. And here it is…Sawyer’s first Spanish TV commercial! 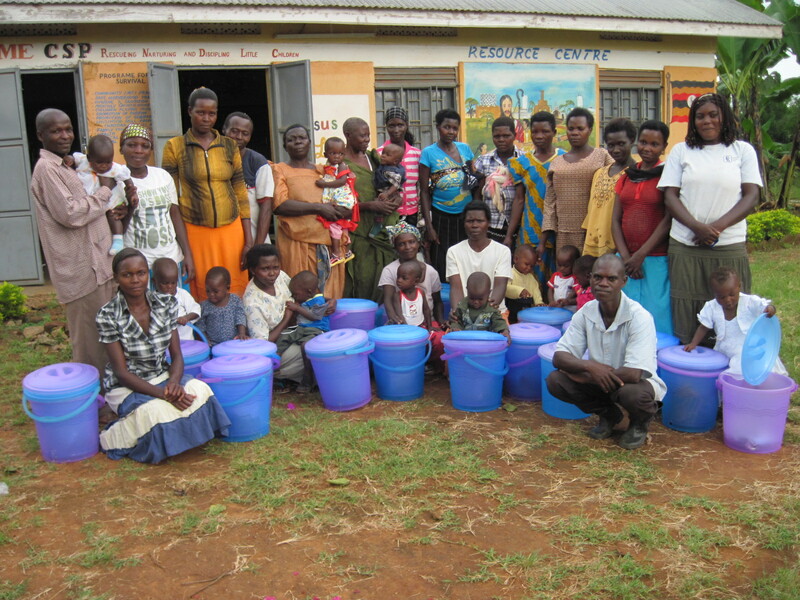 Sawyer’s international distributors continue to deliver filters to Compassion International sponsored families. 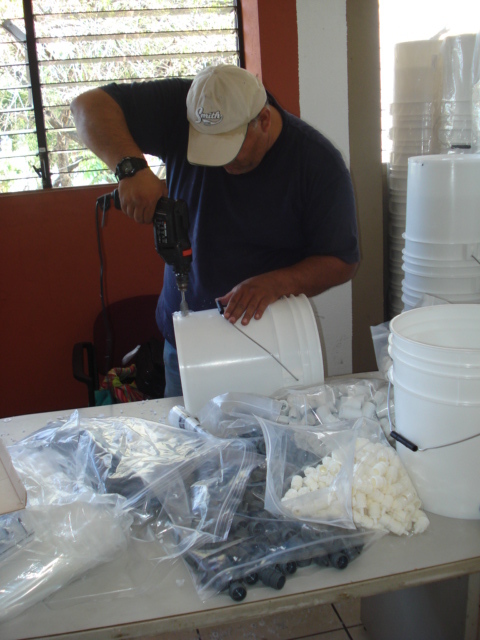 Our distributors assemble the filters to buckets and travel to various locations within their country to provide the filters. Sawyer distributors educate the filter recipients on how to use the filter, how to clean the filter, the importance of clean water, etc. 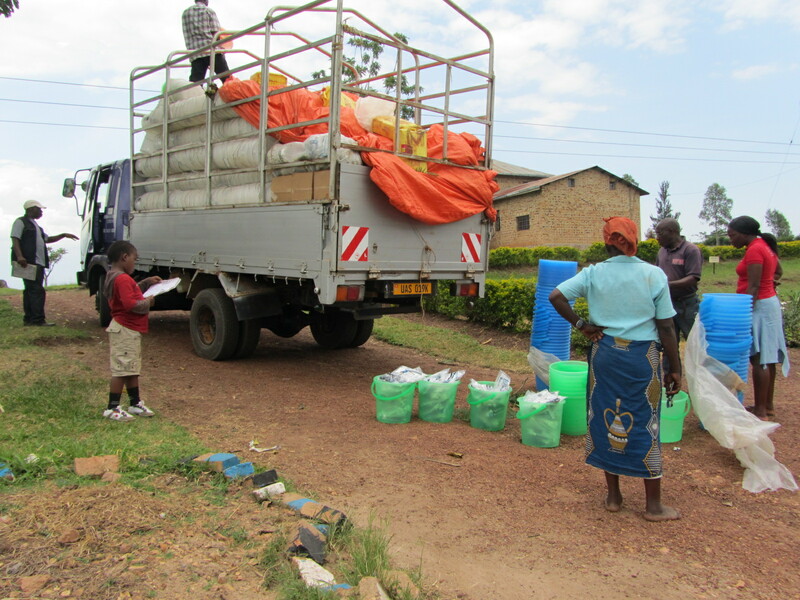 Here is a glimpse of a distribution that took place last week in Uganda. 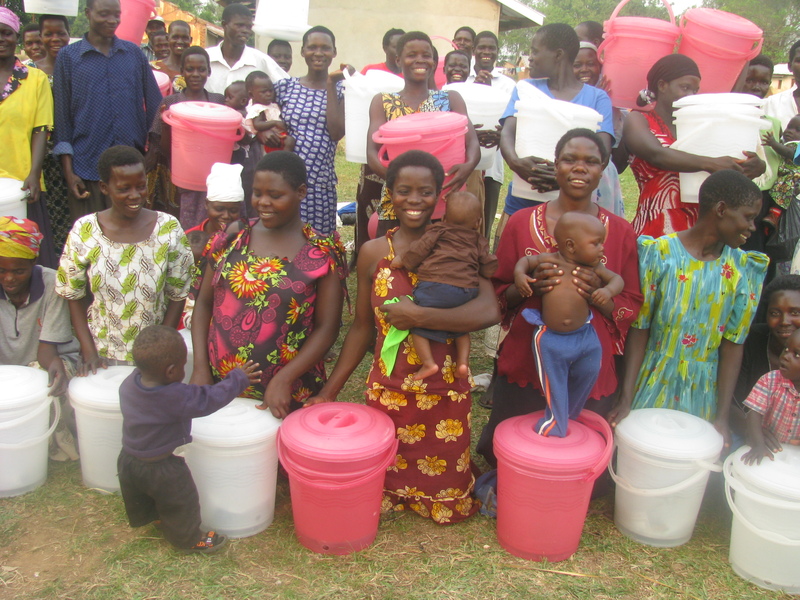 Thank you Compassion for investing in the lives of your sponsors through the provision of life-saving water filters! 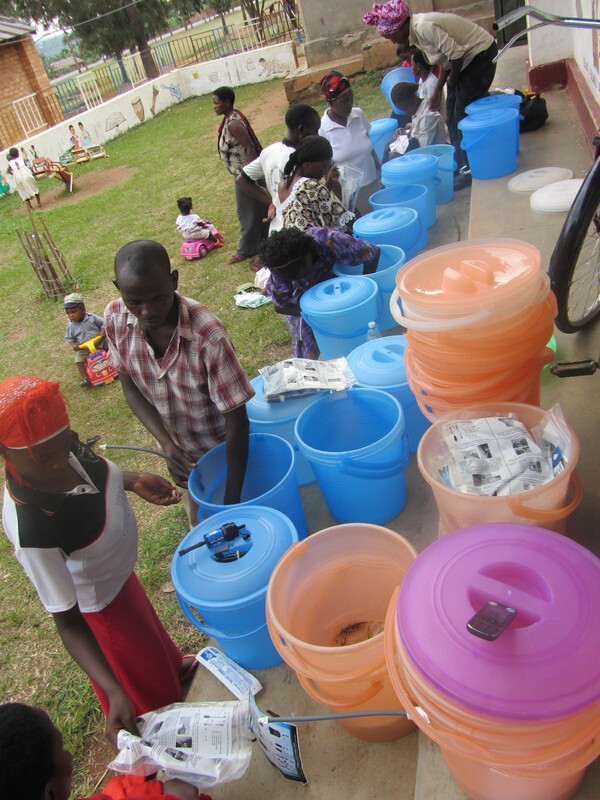 Even over this busy Christmas season, Sawyer’s international distributors in Uganda are hard at work. 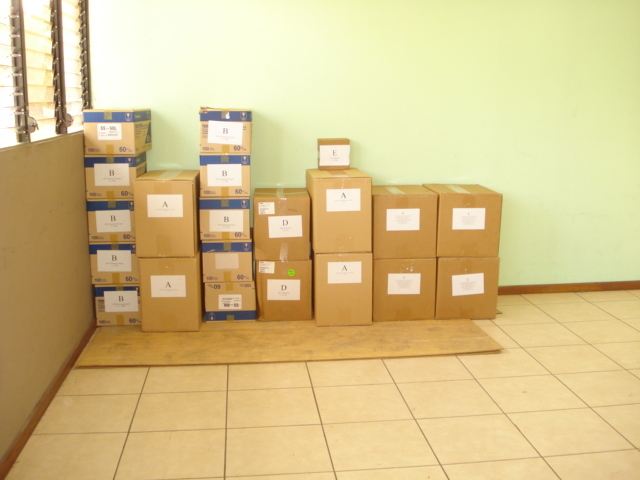 Hundreds of filters are being distributed to Compassion International sponsored families throughout the country. Here are a few photos of the filters being assembled as well as the distribution process. See the smiles of joy! Clean water for Christmas is one of the greatest gifts one could receive. To learn more about Compassion International, visit a previous post describing their work. Thanks for following our blog, we hope you are enjoying this special holiday season! 12 Days of Gear Giveaways! Who’s in the mood for some Christmas giveaways?! Head on over to Sawyer’s Facebook page for a chance to win some awesome gear this Christmas! 3. 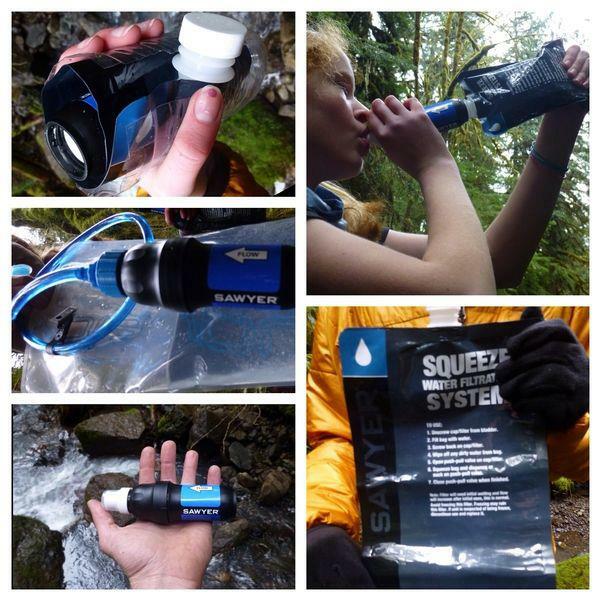 For the next 12 days we will have a drawing for a Squeeze Water Filtration System for all NEW fans for THAT DAY. Each day is a new drawing with new entrants. 4. Wait for many other chances to win gear in our daily drawings with all of our fans. Winners will be posted on Facebook so check back daily. 2. Wait for many chances to win gear in our daily drawings with all of our fans. Winners will be posted on Facebook so check back daily. 3. Wait to win the GRAND PRIZE at the end of the 12 days. Sawyer 2 Liter Complete Water Filtration System, Sawyer Squeeze Water Filter, 24oz bottle of Permethrin, 8oz bottle of Sunscreen, Extractor Pump, all of our 3oz Travel Size Insect Repellents and 0.5 ounce spray pen repellents. You can check the products out at www.sawyer.com . There are 7 days left in the contest, head on over to our Facebook page to grab your free gear before it’s gone!